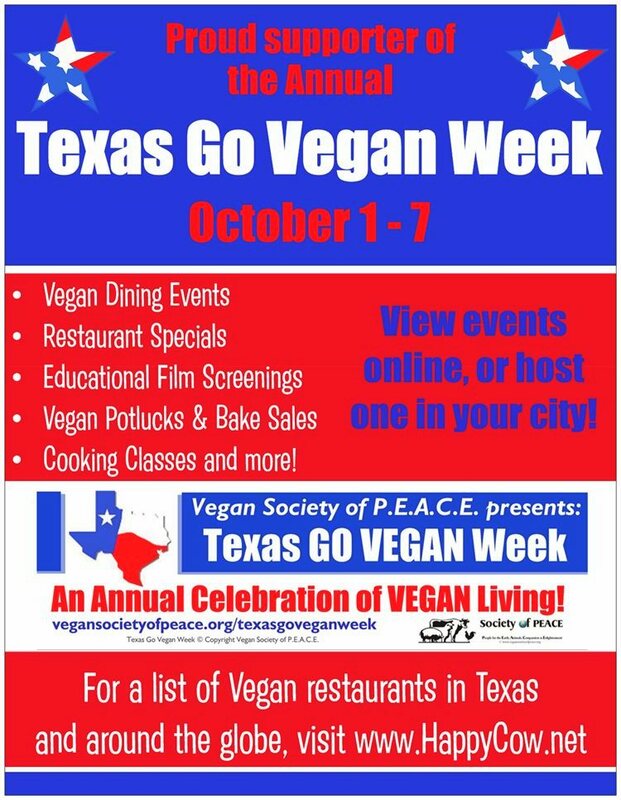 Click on the links in the grid below to see past "Texas Go Vegan Week" Events & Offers. For the current year offers, please click on the "HOME" link above. 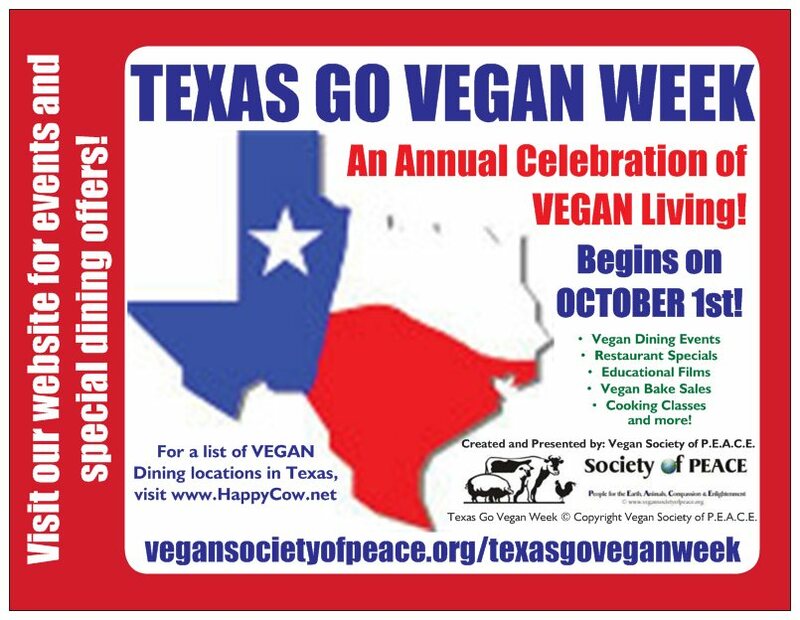 TEXAS GO VEGAN WEEK is Copyright © Vegan Society of P.E.A.C.E. All Rights Reserved.